Buy a new home in Escondido NOW - homes at Cityscape, Gretna Green, El Norte Park, Center Stage and Royal View are Move-In Ready! With 2,071 squ are feet of luxury, including 4 bedrooms (optional den), 2.5 baths and a 2-car garage, the stylish new row-homes at Cityscape offer an incredibly convenient location for any and all things Escondido. 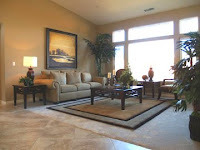 The Heston models feature 2,748 square feet with 4 bedrooms, 3 baths and a 3 or 4 car garage. Sales are picking up at El Norte Park! Located in a quaint cul-de-sac, El Norte Park is ideal for any family! This magnificent group of new single and two-story homes is just off El Norte Parkway in Escondido. Homes range from 2,784 to 2,950 square feet with 4 to 5 bedrooms, 2.5 to 3 baths and up to a 3-car garage. Just three homes remain at Center Stage! Center Stage, off Idaho Avenue and Purdum Lane, includes five new homes situated on near half-acre lots ranging from 2,885 to 3,704 square feet. The homes have 4 to 5 bedrooms, 3 bathrooms and 4-car garages. Located near the beautiful San Pasqual Valley, Center Stage provides picturesque views of rolling palm-covered hills, with access to both Highway 78 and I-15. Two homes left at Gretna Green! Dining, shopping, recreation and a high ranked school district detail the new homes at Gretna Green. With North County Fair Mall, Kit Carson Park, Lake Hodges and more next door, these two-story homes feature 2,885 to 3,704 square feet, 5 bedrooms, 3 bathrooms and 4-car garages. Just six homes remain at the trendy Cityscape neighborhood located off Escondido’s Midway Drive and Grand Avenue. These row-homes offer 2,071 square feet of elegance and style. Each home has 4 bedrooms (optional den), 2.5 bathrooms, and a 2-car garage. Rounding out the Escondido properties is the gated Royal View neighborhood in the San Pasqual Valley. These exclusive, single-level luxury estate homes are situated on minimum two-acre lots ranging from 3,487 to 4,164 square feet with 4 to 5 bedrooms, and up to 6-car garages. Select lots include motor home garages and pools. Individual lots are also available for sale.Michael Crews’ emphasis on quality is apparent with top-of-the-line amenities included in each home such as stainless steel GE Profile appliances, granite-slab kitchen countertops, fireplaces, two-toned paint, mirrored closet doors, Porcelain-over-steel tubs in secondary bathrooms, structured multimedia wiring, slab-travertine countertops in the bathrooms and laundry room, designer lighting, Porcelain tile flooring and more. The Corporate Sales Office is open daily at El Norte Park in Escondido from 9 a.m. to 6 p.m. Models are open for tours at various neighborhoods from 10 a.m. to 6 p.m. daily (except Thursdays). To get to El Norte Park, from I-15, exit on El Norte Parkway and head east approximately 3 miles. 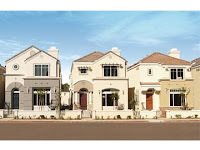 The El Norte Park neighborhood is on the left side of El Norte Parkway at the intersection of Midway Drive.The Michael Crews Development Sales Office can be reached at 760-751-1212, or visit us online at http://www.michaelcrews.com/. Be sure to sign up for the new e-newsletter!